Biking cross-country is a worthwhile pursuit, but then you’ll have to deal with terrible drivers, rain, bugs, and heat. [Jeff Adkins] over at lowendmac has a neat solution to exploring the country via bicycle without ever leaving the safety and air conditioning of your basement. 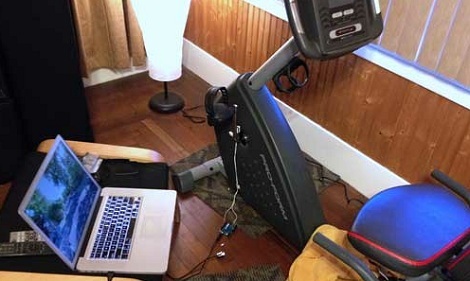 For his build, [Jeff] used a magnetic reed switch attached to the frame of his stationary bike and the pedal crank. Whenever the pedal crank is turned, a reed switch closes on every revolution. This reed switch is connected to a new Arduino Leonardo programmed to transmit keyboard presses to a computer for every five revolutions of the pedal. From there, it’s a simple matter of loading up Google Streetview on a laptop and letting the Arduino automatically advance through Streetview images while pedaling. The next part of [Jeff]’s project will be adding left and right buttons to his stationary bike to navigate Google Streetview images without taking his hands off the handlebars. You can check out a demo of [Jeff] cruising around after the break. While you’re waiting for your bandmates to finish arguing/making out/their beer, you can play Snake on your MIDI controller. Luis wrote a Snake game for an Akai APC40 controller. Everything is built with Processing and should provide a great distraction from (for?) your 14-year-old groupies. 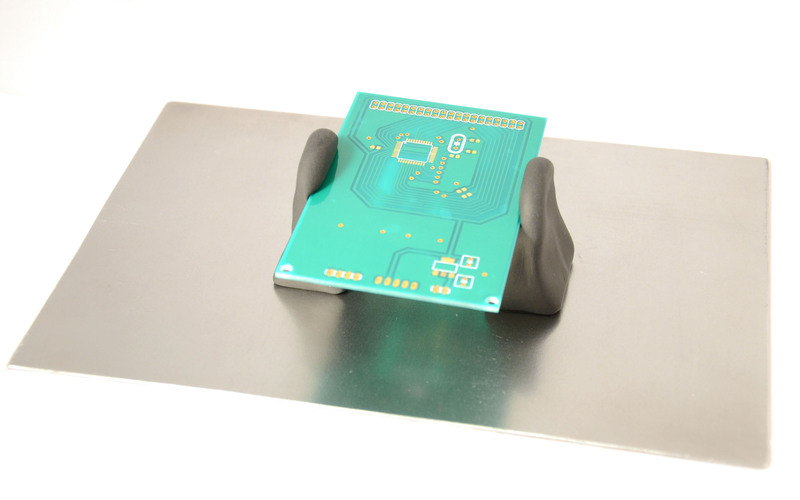 [Robert] sent in a tip for a very simple PCB holder. 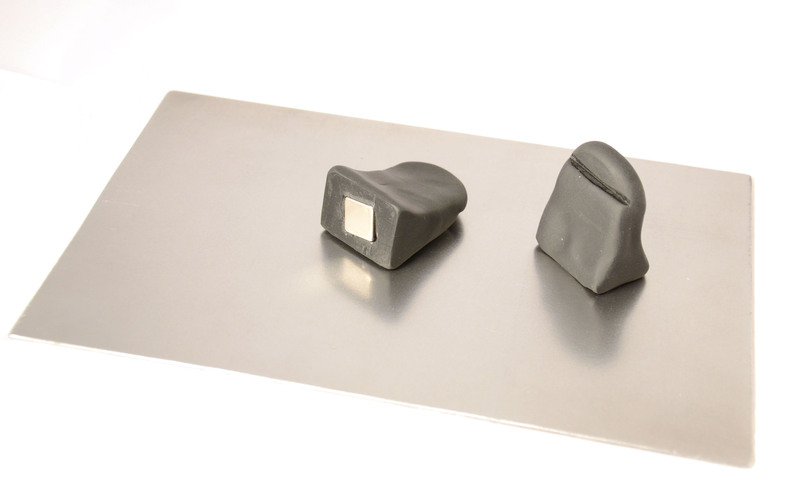 Take a neo magnet, embed it in oven-hardening modeling clay, and use it on a steel worktop. Check out the pics he sent in (1, 2). It’s too simple not to work. [binaryhead] is using a stationary bicycle to play Grand Theft Auto: San Andreas. (Spanish, Google translate here). A pot and magnet/reed switch is connected to an Arduino that outputs keys to San Andreas. There’s no word on an ambulance simulator yet. [Martin Draskov] made a 23 inch Android tablet. He used off the shelf parts (multitouch monitor and a small PC) with the x86 Android port. There’s a video that doesn’t include Angry Birds. Sad, that. With t-shirt bleaching, you can put a custom design on clothes without a screen printing setup. Reddit user [Admiral_Noosenbaum] used a CNC machine to make templates. Now if only we can find an .SGV file of Che Guevara. Video here.